I am going to miss summer with all its wonderful variety of fresh fruits and vegetables, so I am going to make the most of what time is left. 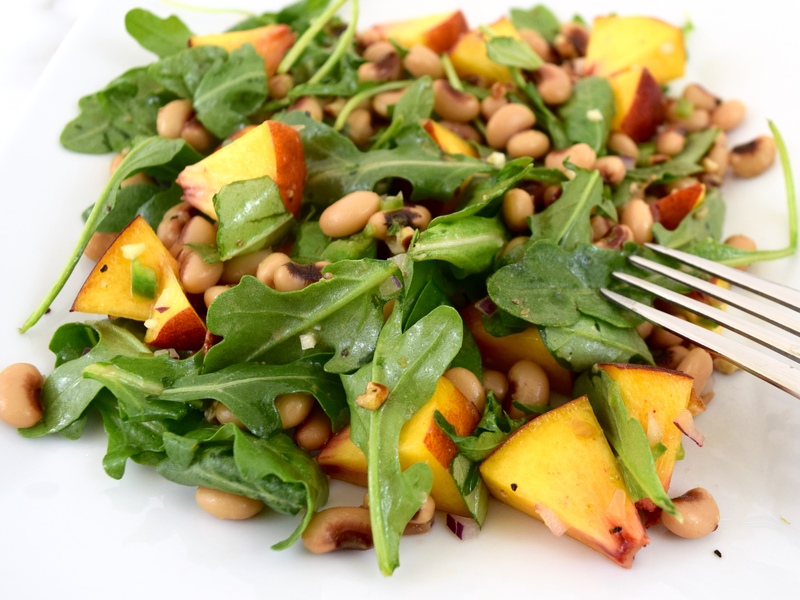 Today, Laura and I had a very delicious and healthy salad made with fresh peaches, arugula and basil. The recipe by America’s Test Kitchen, Cooking Fresh, 2015, asks for frisée, but I used arugula, instead. Watercress would also make a great substitute. 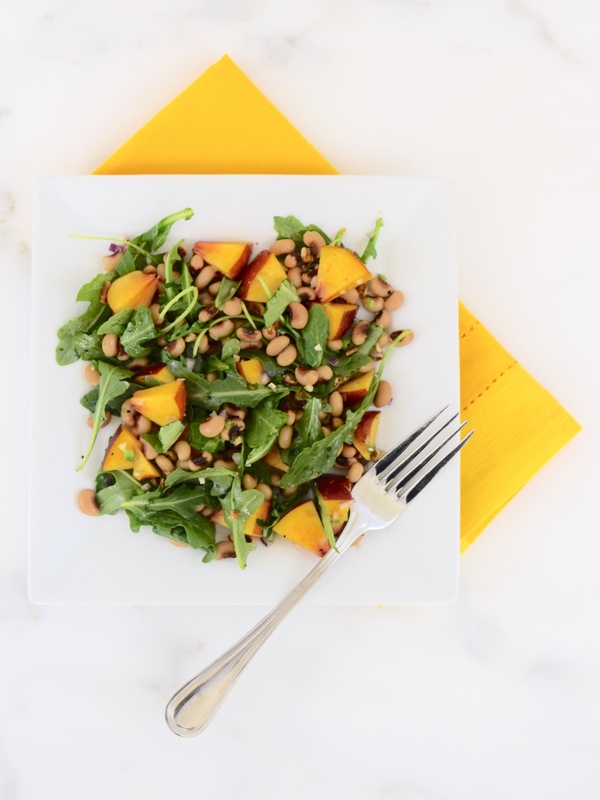 The proteins in this salad are black-eyed peas with some crunchiness from toasted, chopped pecans. The surprise flavor is from the finely chopped jalapeño pepper. The salad was a hit with my daughter, who will be returning to college in just a few days. I’m going to miss my food critic! 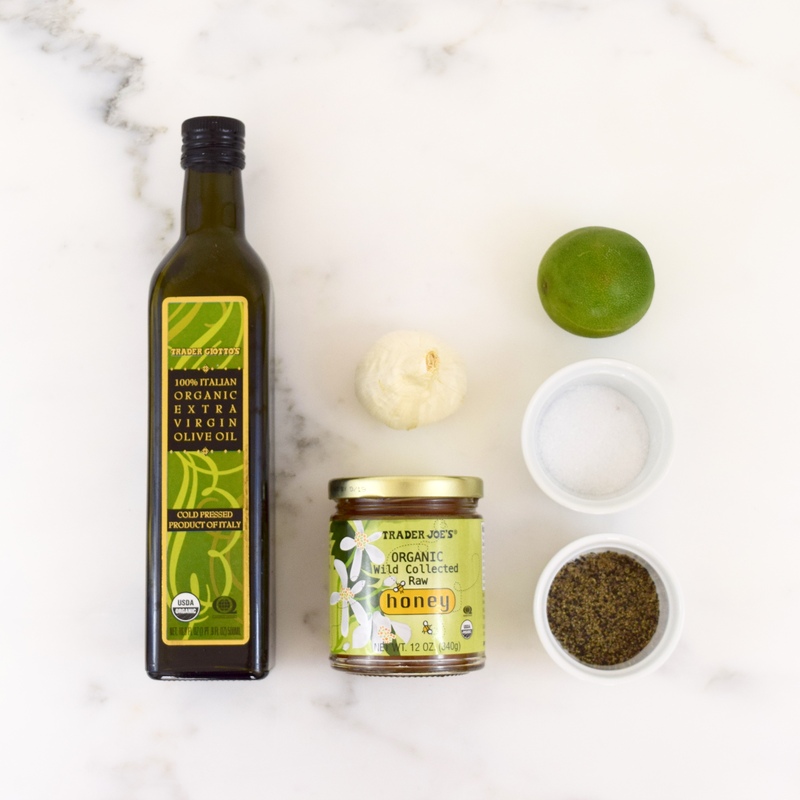 Whisk together lime zest, lime juice, honey, and garlic in a large bowl. Drizzle in olive oil, stirring constantly. Add salt and pepper to taste. 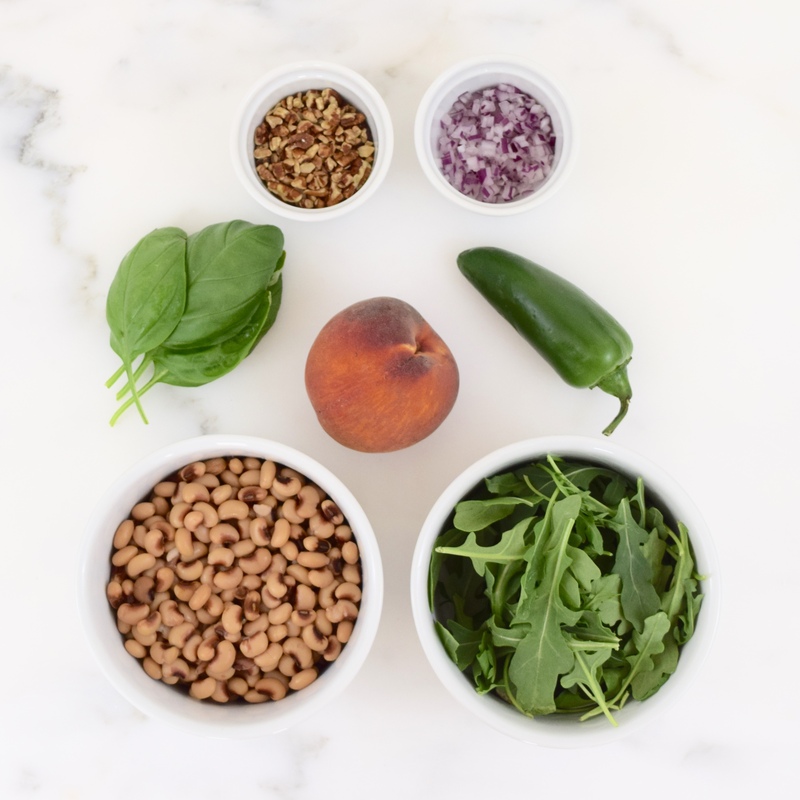 Add peas, peaches, arugula, onion, pecans, basil and jalapeño to large bowl. Toss thoroughly. Add additional salt and pepper, if necessary. 4 to 6 servings. Wow this looks like the ultimate salad, I have to try it! It was delicious. Thank you for commenting! I love these ingredients, what a light and lovely dish! Great photographs, and looks delicious too! Thank you so much, Hunter! I forget that living in Australia, you are having winter! Can’t wait for fall to come here in Las Vegas! I thought the same way at first, but it is really a tasty combo! 🙂 The key is to use perfectly ripe peaches!